Messaging is easy, simple and available to all because it´s the only mobile marketing channel compatible with all handsets and consistently available in the same format for everyone. According to a recent study by Upstream, (you can see the related infographic below) even the vast majority of smartphone users (75%) prefer to receive offers via SMS. Unsuprisingly, people also prefer to receive offers related to their own operators services and tailored to their usage and needs. Interesting, but what does that tell us? That there is still a lot of mileage left on mobile-CRM on the operators ‘side. By better understanding consumers’ needs, interests and preferences, the operator may boost their service revenues by offering highly targeted deals. It also saves costs – since instead of broadcasting offers via SMS to all subscribers, the operator only sends it to those who have declared an interest. On top of that, it also increases the customer stickiness, since they will feel better about an operator that only sends them relevant offers. Even though most operators have already had a CRM system in place for quite some time now, most of them rely on static data (limited demographic information collected at the point of sales for the billing system). After a few months, most information is outdated, people move, get divorced, changed jobs, lifestyle etc. It´s difficult to rely on this legacy database of post-paid users. It gets even worse on the most populated countries in the world, where the pre-paid database reache 90%. Since there is no registration at the point of sales, the operators have absolutely no information about who their consumers are, their needs and interests. How to collect this information? Well, you could reach them with simple SMS, but the experience would be compromised by the hassle of dialing short codes for every answer, and going back to the inbox to generate a new message to reply. That’s why Gemalto created the unique Interactive SMS concept, enabling operators to truly develop a one-to-one relationship with users. It´s a text message that pops-up in the idle screen and needs a single click to reply – perfect for mobile recruitment to your loyalty program. It enables open questions or multiple choice menus, being a great channel for quick surveys on the go. Moreover, it´s an opportunity to engage in a simple dialogue with subscribers, putting them in control, and letting them decide where their interests lie. The Interactive SMS is not only compatible with all handsets like SMS, but it also works on the iPad so operators can easily offer top top-up the prepaid internet connection credits when the balance is low. 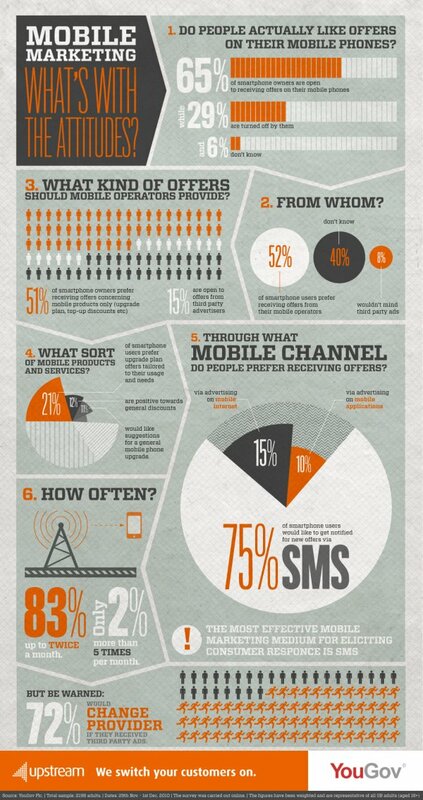 So let´s recap here: smartphone users prefer SMS offers, tailored to their interests, and sent out by their operators. The mobile phone is always on, carried everywhere and still not fully used as a CRM platform for these same operators. Messaging is the most popular channel… and making it really interactive enables a new range of CRM activities – a real win-win situation. Many operators have tried and cannot live without it anymore. Who’s next?